Walter: Yes and then, when he thought they were alone, he said: there's oil under this studio, you see. I'm gonna tear it to the ground, see. Sweet, sweet oil, see. Amy Adams as Mary: People still talk like that? Maybe that's just how he sounded in my head. Either way, we gotta find Kermit. He'll know what to do. How do we find Kermit. Nobody has seen him in years. Stop the car! I've got an idea. They stop to get hot dogs. 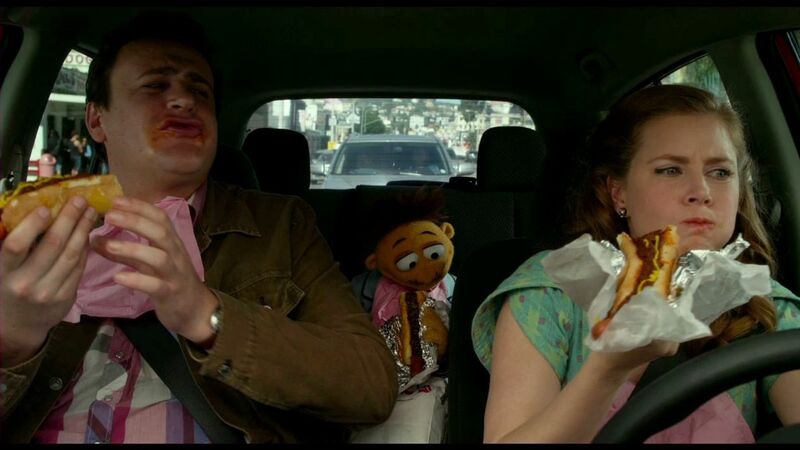 Jason Segel as Gary: This is delicious. Great idea Walter!